Welcome to the Milwaukee Admirals Youth Hockey Central presented by United Steel Workers Local 209 and Children's Hospital! This is your guide to the youth hockey experiences with us! 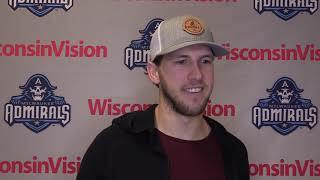 Whether its info on playing one of your games on the UW-Milwaukee Panther Arena ice or some of the outstanding fundraising opportunities we offer, you can find it here! - One hour of ice time before Admirals games, where you can setup times to play games, have a practice or have an organizational family skate! - 5 Mintue intermission skate where you can be cheered by thousands for Admirals fans! - Your own designated locker room! 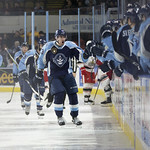 - Have the entire team down by the Admirals locker room to welcome the players onto the ice before the game! Package starts at just $15 a person with a minimum of 75 per team, limited availability. 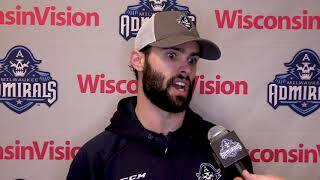 Your entire team will be introduced seconds before the Admirals take the ice through our infaltable skull and be on the ice for the National Anthem! A memory that will last a lifetime! The team will also have it's own locker room and only needs to bring their jerseys, helmets gloves ands skates. Package starts at just $15 a person with a minimum of 50 per team, limited availability. Youth Hockey organizations can come out to a game and raise money on every group ticket sold. Its win-win: you raise money for a great cause and get to see an Admirals game with your friends and family! Groups of 350 or more could qualify for an even greater fundraising benefit! Work with UW-Milwaukee Panther Arena caterer Levy Restaurants to add food and a private party area to your Youth Hockey Experience. Click here for more information. If you are looking for donation items for your organization’s fundraising golf outing or silent auction, give the Admirals Group Sales Department a call at (414) 227-0550 and we can put together a package that will help your team raise money and morale! 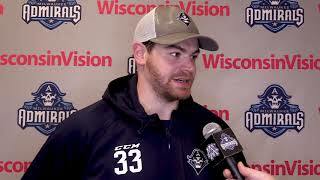 Would you like to have an Admirals player come to your practice and teach you the finer points of hockey? Of course you would! We can make that happen for you! 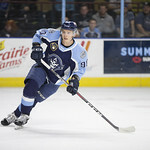 Give the Admirals Group Sales Department a call at (414)227-0550 for more information. Travel and schedule restrictions apply. For Youth Hockey Associations in your area, click here! Call the Admirals Group Sales Department at (414)227-0550 for more information or to book your Youth Hockey Experience and/or Fundraising outing today! Got a question about our Youth Hockey Programs? Send it to us!